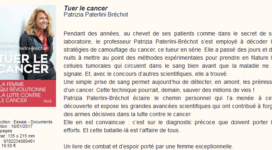 “Tuer le cancer” (Kill the cancer), available in French bookstores starting from 2017, Janvier 18th, is the first book by Prof. Patrizia Paterlini-Bréchot. ” I hope this book will help fight cancer”, she said. More information at: Editions Stock. Please find the article “‪‎L’oncologue qui court plus vite que le cancer” (“The oncologist who runs faster than cancer”) about ISET® Blood Cytopathology available in “Notre Temps“. 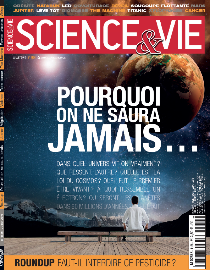 Please find the article “‪‎Cancer‬: Les tests sanguins vont tout changer” (“Cancer: Blood tests will change everything”) about ISET® Blood Cytopathology available on Science & Vie magazine n°1186. Please find in the video below the speech of Prof. Patrizia Paterlini-Bréchot, Scientific Advisor of Rarecells Diagnostics at Toulouse TEDx introducing the ISET® Blood Cytopathology (english subtitles availables).